Victory Medal awarded to 477377 Private Douglas Thomas Hamilton. Douglas Hamilton was born 23 Aug 1876 at Stratford, Perth, Ontario. His family is shown living at Stratford in the 1901 census for Canada, with parents John D. (56) and Scieilia [sic] (44) with four children at home: Douglas T. (24), Mable J. (17), Bertha M. (15) and Lillie G. (14). Hamilton had previous military service in the Canadian Militia with the 28th and the 33rd Regiments. The 28th Perth Regiment had companies at Stratford, Ontario, and other communities in the county of Perth (St. Mary's, Listowell, Mitchell, and Blanchard). The 33rd Huron Battalion of Infantry had companies in various towns to the west towards Lake Huron (Goderich, Seaforth, Clinton, Bayfield, Exeter, and Goderich Township). 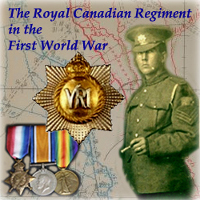 16244 Private Douglas Thomas Hamilton was taken on strength The Royal Canadian Regiment with an effective date of enlistment of 5 September 1914. On 14 September he arrived at Bermuda with the Regiment. Hamilton was admitted to hospital in Bermuda for "ulceration [of] the tongue" and remained in hospital from 12 December 1914 until 19 February 1915. The medical report completed at the time described his condition as "ulcers on tongue probably caused by decayed teeth." The RCR returned to Halifax after being relieved at Bermuda by the 38th Canadian Infantry Battalion. Hamilton reattested for overseas service at Halifax with the Regiment on 23 August 1915 and was assigned the CEF regimental number 477377. He was married and declared his trade as 'real estate agent' when he attested for overseas service with the Canadian Expeditionary Force (CEF). He stated that he was currently serving in the Active Militia. At 39 years of age, Hamilton was five foot, seven and one-half inches tall with a fair complexion, brown hair and green eyes. While in England, Hamilton paraded sick at Shornecliffe and was admitted to hospital on 18 October 1915 for "Gumma of Tongue." He spent 80 days in hospital at the Canadian Convalescent Hospital in Monks Horton. 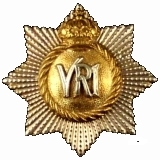 This lengthy stay in hospital meant that Hamilton did not cross over to France in November with The RCR and was not entitled to the 1914-15 Star as were most of the Regiment's "477 men." Because he was in hospital, Hamilton could not embark for France with his Regiment. 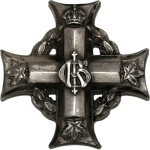 He was transferred from The RCR and taken on strength of the 11th Reserve Battalion on 24 Nov 1915. Private Hamilton was discharged from hospital on 5 February 1916. On 24 March 1916 Hamilton was transferred from the 11th Reserve Battalion to join The RCR in France. He departed for France on the 26th of March and arrived at the unit on the 28th. Weather fine. Night of 31st/1st very suspiciously quiet. At about 8.45 a.m. 2nd June enemy started violent bombardment which lasted about five hours. This was a concentrated bombardment principally directed on SANCTUARY WOOD and MAPLE COPSE. At about 3 p.m. the enemy attacked and drove our front line back which had been levelled to the ground. P.P.C.L.I. suffered tremendous losses their right being obliged to fall back on the Reserve line, but their left still held on to the APPENDIX thus keeping out right intact. The enemy made two attempts to come across to our trenches 70 to 74 but on both occasions were driven back the men behaving splendidly. Reinforcements were sent up about 8. p.m., 60th, & 52nd Bns. And two Co's of K.R.R. These were sent into the "R" Line. A Counter attack was planned to commence at 2 a.m. 3rd inst. By the 69th Bn. (Col Griesbach) with the 52nd and 60th in support but owing to the latter Regiments not getting up in time it had to be postponed. At 5.30 p.m. one platoon under Lieut. Heron was sent to support P.P.C.L.I. on our right it arrived 6.05 p.m. under heavy shell fire but was told that its services would not be required. This platoon then returned. At 8.30 p.m. a terrific Artillery and rifle fire opened up again but lessened considerably about 9.15 p.m. and from then on steady Shrapnel fire continued on our support line. At 1.30 a.m. 3.6.16. a terrific bombardment commenced again. Major General Mercer was killed in the front line. Brigadier General V. Williams was wounded and taken prisoner. In the front line of The Royal Canadian Regiment astride the Menin Road, the night of June 1 passed without notable incident. The Battalion bombers threw grenades into the German trenches and the enemy retaliated by bombing a post on the extreme left of "A" Company. A few casualties resulted from these exchanges, but there was less shelling than usual and the Battalion, standing to in the cool dawn of a lovely summer's day, noted, a diarist testifies, that birds were singing in the air and in the grass and that over the Salient, if an occasional rifle shot and the even less frequent burst of a shell were ignored, peace seemed for the time to have established a beneficent dominion. At 8.30 a.m., however, the misleading sense of peace and security vanished as the bombardment that heralded the German attack began. In the main, the shelling was concentrated to the right of The Royal Canadian Regiment's line, but the fire of a number of batteries was soon diverted to the unit's area and by 10.30 a.m. communication between Battalion Headquarters and the companies and between the companies and their isolated posts had been broken. In these circumstances, the bearing and behaviour of the men became a matter of the utmost importance. The Battalion was untried in battle, a test was obviously impending, and, owing to the disruption of communications, no one could tell what responsibilities might fall to the lot of the most junior commanders. Anxiously, therefore, but confidently, officers of the unit watched the men and never was anxiety more promptly allayed or confidence more abundantly justified. From the beginning, the old, trained, Permanent Force non-commissioned officers and men faced the situation calmly and collectedly, an example in which they were so closely followed by their non-Permanent Force comrades that all doubt as to the Battalion's worthily upholding the name and reputation of The Royal Canadian Regiment at once disappeared. in the afternoon the Regiment knew that the Patricias had suffered severely. The left company of the Patricias was standing fast on The Royal Canadian Regiment's right; what was happening further to the right was largely a matter of rumour and conjecture. Then, from the German lines, the 22nd Reserve Regiment launched a sharp attack, which was repulsed by the rifle and machine-gun fire of the Regiment and the company of the Patricias on the right. Under the feet of the men of The Royal Canadian Regiment as they fired into the advancing waves of the enemy were four heavily charged mines, but they were unaware of these and, for some unknown reason, the mines were not exploded. Accordingly, the German waves were broken by a blast of fire and driven back, with heavy losses, to the trenches whence they had come. A second time the enemy attacked with courage and determination, but again the Canadian fire was too much for them. The men of the attacking line hesitated and stopped, then broke and fled, leaving the ground strewn with dead and wounded. In the repulse of these attacks, Lieut. R.B. Penniman, commanding "A" Coy., displayed qualities of capable leadership that were of the highest value. After the attacks had been beaten off, the Regiment, under increased shell fire, maintained its sector of the front line. At 5.30 p.m. a platoon, under Lieut. Heron, was ordered by Lieut.-Col. Hill to proceed to the help of the company of the Patricias on the right. This platoon reached the Patricias' position at 6.05 p.m., but was told that its services would not be required, whereupon it returned to its own lines. Shortly thereafter artillery fire on the front died down almost to normal, but at 8.30 p.m. it increased again and simultaneously a series of gorgeously coloured rockets rose from the German lines, apparently signals for a renewal of the afternoon's attacks. Convinced that an attack was actually impending on his front, Capt. H.M. Logan, commanding "C" Coy., seized an S.O.S. rocket and, as the base was damaged, fired the signal while holding the rocket in his hand. As a result, his hand and arm were burned to the bone, but, despite intense pain, he remained at duty, momentarily expecting a German attack. After three-quarters of an hour of concentrated fire, the German bombardment died down. Shrapnel burst over the area at intervals throughout the night, but high explosive was absent until, at 1.30 o'clock on the morning of June 3, the intense bombardment was renewed. Again the Regiment prepared to meet an attack, but again, after a prolonged period, in which a number of men were killed and wounded, the fire died down without any sign of movement from the enemy trenches. "No. 477377 Private Douglas Thomas Hamilton [of the] Royal Canadian Regiment has been missing since 2nd June 1916. Reference has been made to the Unit, the Record office and the base, on the printed missing list, but no evidence of material value has been received which would indicate that he is not dead. "In accordance with the decision of the Army Council, this soldier is to be regarded for official purposes as having died on or since the above date." Hamilton left all of his estate to his wife, Minnie Gormican Ritz Hamilton. She was residing as at 116 Dufferin St, Stratford, Ontario. 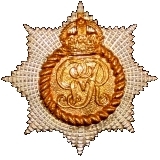 Hamilton was entitled to the British War Medal and the Victory Medal. His widow received a Memorial Plaque, a Memorial Cross and an accompanying scroll, which were despatched to her on 11 April 1922. She was also forwarded a War Service Gratuity for Hamilton's service on 22 September 1920. The Gratuity was calculated to total $180, from which a previously issued Special Pension Bonus of $80 was deducted. In Canada, Hamilton is commemorated on Page 97 of the First World War Book of Remembrance, which is displayed in the Houses of Parliament in Ottawa. 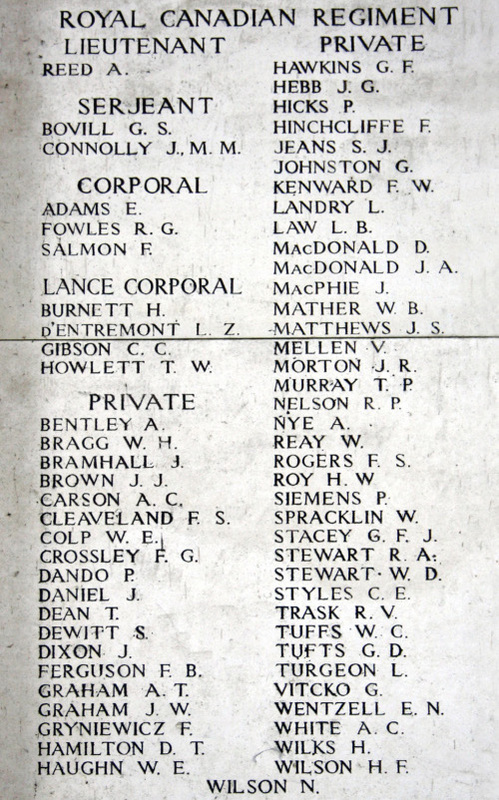 Sixty-five Royal Canadians are commemorated on the Menin Gate (Ypres) Memorial.